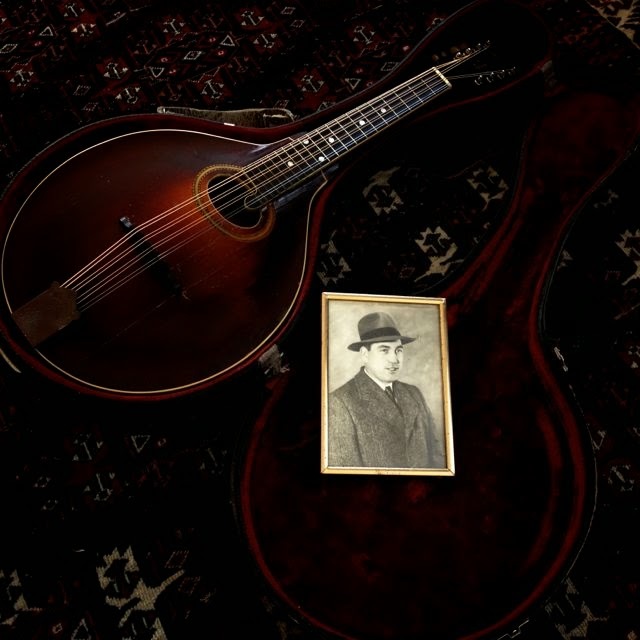 A mandola is a less tightly strung, larger version of a mandolin. This one, someone told Jeremy, had been stepped on, which may have been true. Whatever the cause, it had been cracked for as long as he’d owned it, and certainly never played since his grandfather had gotten Parkinson’s and lost the touch. Now it is repaired. Jeremy took it to the Mandolin Brothers in Staten Island and they were very apologetic about having to put two posts under the bridge. But maybe it was good. Maybe these posts worked like the sound post in a fiddle. They told him it was at least eighty years old, a version made from a 1908 patent. It says “The Gibson” as if it was named. I asked if this was Gibson as in the guitars made today in Memphis. Jeremy said the Mandolin Brothers had told him yes. It was a Gibson before Gibson got big. Annie pointed out that the label inside the instrument said, “Guaranteed” and she suggested that Jeremy should have collected on the guarantee instead of paying to repair it. The Gibson plant is rich with the perfume of glue, varnish, the dust and shavings from clean, raw wood that comes from handwork, and I’m sure they would have been charmed to see it. 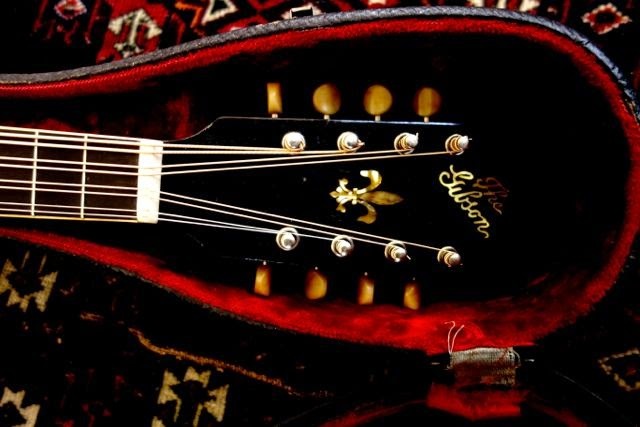 The Mandolin Brothers had stitched together a couple of cracks, adjusted the neck. They had to hydrate the wood for months, it was so dry. They are eccentric, old men who love these instruments. Jeremy’s grandfather had been a butcher, a boxer, a policeman. Once, while on duty in San Francisco, someone hit him in the head with a liquor bottle and he had to go with Jeremy’s grandmother and mother out to the countryside to heal for a number of years. That’s what they did in those days, go someplace quiet to heal. The instrument seemed to want Jeremy in a yoga position. He played— filled the instrument with all his own activity. Dark, he called the tone. Then something happened, and Jeremy disappeared. None of us were in his apartment anymore with its steel window frames and view across the East River to the Manhattan skyline. We were somewhere else inside the strange old resonance between that instrument and time. Listen, the instrument was inside a forest of pine with the light streaming down, a quiet place where one goes to heal.